The short answer to the question asked by the title of this article is both yes and no. It depends upon how you look at things and a person’s definition of “wonderful.” Obviously, we need to look at what God means by a “wonderful” plan as well. Let’s face it. Most if not all of us have heard some preacher giving an altar call at some point and included in that call is the concept that God has a “wonderful” plan for you life, if you’ll only come to Him for salvation. There is a huge problem with simply making that statement and letting it hang there, without any additional explanation. Whether pastors mean to be misleading or not, simply presenting a crowd of people in a sanctuary with the phrase, “God has a wonderful plan for you life!” does not do justice either to God or His Word, at least not without further explanation. 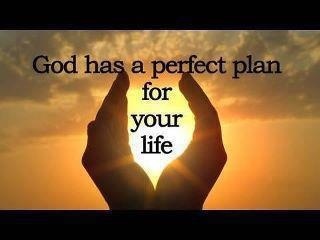 God does have a wonderful plan for us and that includes salvation itself. Without salvation, we all die an eternal death, fully and eternally separated from God, enduring only His wrath. That’s the downside of life without salvation. Salvation itself is the remedy to the problems we face in the afterlife. Those who have salvation enjoy some of the benefits now, but the bulk of salvation is not fully experienced until after this life is over. It is then that our sin nature is excised from us and it then becomes impossible for us to sin after that. That is not the case now as it will be then. Most of us are familiar with and have even heard the Scripture verse from Matthew 11:28-29. Even there, removed from its context and the context of Jesus’ life and mission, it is easy to misunderstand what He is saying here. During Jesus’ day, people were under the Mosaic Law and many were under the misunderstanding that salvation was something that had to be worked for in order to achieve. All the ceremony, sacrifices, and laws were seen as granting people salvation. Given that understanding, it is clear why the average Jewish person felt it was next to impossible to gain salvation through those things. This was actually the point. Yet, Hebrews 11 tells us about people who were labeled righteous by God not because of what they did but because of what they believed. Their faith then is what granted them peace with God and ultimately salvation. It is the exact same thing that grants us salvation today. But too many people are still busy trying to earn it. Jesus made the statements above to help people understand that they did not need to work for salvation – something that was impossible. They simply must believe on the Lord Jesus and rest in His work on their behalf. This is the secret of people like Abraham, Noah, Lot, Enoch, Elijah, Isaiah, Daniel, and too many others to list here. They simply chose to believe God and gained salvation. Jesus was trying to remind people that faith – though difficult at times – is much easier than trying to earn something that is really impossible for the average human being to earn. We human beings are born with a sin nature that was automatically passed down to us from Adam (Romans 5:12). Jesus was not. He had no sin nature but was tempted in all things yet without ever sinning (Hebrews 4:15). We often give into temptations to sin. Jesus never did. He remained sinless throughout His entire life. When He died, God the Father saw Jesus as sin on our behalf, though He was free from all sin (2 Corinthians 5:21). Jesus was the only One qualified to die in our place and thank Him that He did. So when we say or hear someone else say that God has a wonderful plan for our lives, the truth is that salvation is most certainly part of that plan. In fact, it’s the bulk of it. Yet, too often people come to God and expect a ton of other things. Jesus wants us to “rest” from our own labor in trying to earn salvation, but He never promises us that our life from that point on will be worry or burden free. In fact, He actually promises us that in this world we will have tribulation (difficult times; John 16:33), but the comfort is in knowing that He has overcome the world with all its temptations, sin, and struggles. Russell Kelfer wrote in A Grateful Spirit: Part 2 the following words as part of a pledge to God by each Christian who wants to participate in it. Kelfer goes onto say that God has promised us eternal life. This is extremely important to understand and take to heart. Too many pastors and Christians workers try to make the gospel palatable. They try to make it sound promising in the here and now. They try their best to make it upbeat and cheerful so that people will want to embrace it. The reality is that salvation saves us from the Lake of Fire (Revelation 20:14) – an eternal separation from God – and provides us with benefits that we will come to appreciate fully after death. There are many promises that God has made to us in His Word. Romans 8 starts off with a promise that all who have salvation are no longer under God’s condemnation (Romans 8:1). The same chapter ends with the fact that we are conquerors and nothing can separate us from God’s love (Romans 8:37-39). These are good things to know. Yet, in the middle of Romans 8, Paul speaks of the fact that there is much in this life that will cause suffering, but that God – who lives within those who have gained salvation – will help us during these difficulties (Romans 8:18-30). God never promises to keep these difficulties from us or to remove them if we pray. He simply promises that He will be with us in those situations because He will never leave or forsake us (Deuteronomy 31:6; Hebrews 13:5-6). This world continues to be run by the enemy of our souls, Satan himself. He has a special hatred for those of us who become Christians. Unlike God, who wants no one to perish (2 Peter 3:9), Satan wants all to perish, that is, to die without ever having received salvation. Becoming a Christian does not mean that God will pour out His physical riches on us in this life. It doesn’t mean we will never have difficulties. It does not mean we will have excellent health or always have a job. It means that we will experience times of trial and difficulties and our job is to trust in Him and abide in His love. That means that we continue to believe His promises even though our circumstances are trying to move us away from that believing. We’ll be back with more application on this subject next time, in Part 2. Entry filed under: christianity, eternity, Political Correctness, Politically Correct, Politics, Religious - Christian - End Times, Religious - Christian - Prophecy, Religious - Christian - Theology, salvation. Tags: damnation, god's perfect plan, god's plan, god's wonderful plan, Hebrews 13:5-6, hell, lake of fire, matthew 11:28-29, my burden is light, Romans 8, russell kelfer, salvation, take my yoke.